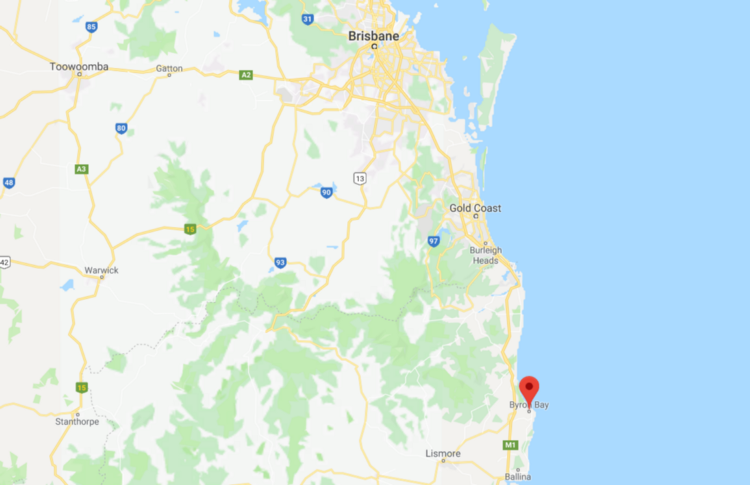 Byron Bay, Australia — After Sydney, my friend and I drove up north making various stops along the east coast of Australia in Port Stephens and Port Macquarie. Each coastal city had its own unique color, but our ultimate destination was magical Byron Bay. After a few days of driving, we finally arrived in one of my favorite destinations in Australia. Byron Bay is known for a relaxed beach town with its hipster surfer vibe. 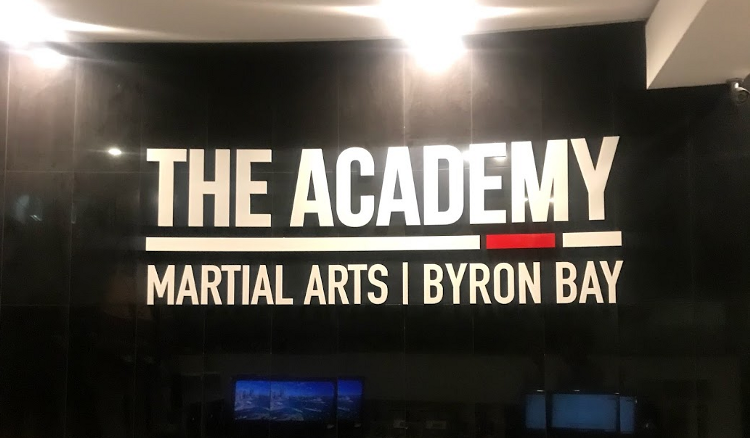 After a long drive and sleeping in a van, I was itching for some training, and I was lucky enough to have an opportunity to train at the Academy Byron Bay. Byron Bay is located about 2-hour drive south from Brisbane and 9-hour drive north from Sydney. This mainland Australia’s easternmost town is home to picturesque beaches and trendy dining scenes. Spectacular beaches along the coast with reliable surf breaks offer various activities such as surfing and dolphin watching while Byron Bay’s town center presents laidback dinings and lively bars. There is something about Byron Bay’ vibe that captures every visitor passing by. The Academy Byron Bay offers a wide range of combat sports and fitness classes ranging from Brazilian Jiu-Jitsu to MMA. 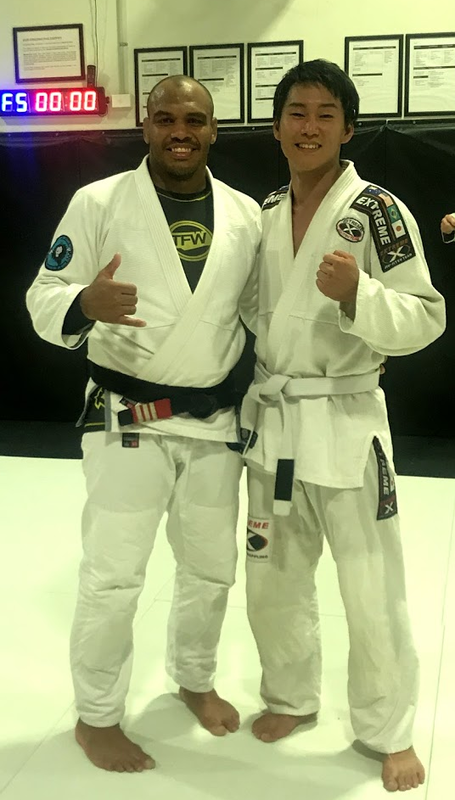 Its Brazilian Jiu-Jitsu program is headed by Daniel ‘Jacaré (alligator)’ Almeida who is a 3rd degree Black Belt in Brazilian Jiu-jitsu and an active MMA fighter. From Australian Championships to Abu Dhabi World Professional Jiu-Jitsu Championship, his competition records in the Heavyweight Division leaves no doubt about Professor Daniel’s Jiu-Jitsu. In his recent MMA wins at Diamondback FC (won by knock out) and Eternal MMA (won by submission) also vouches for his well-rounded skill set as a martial artist. 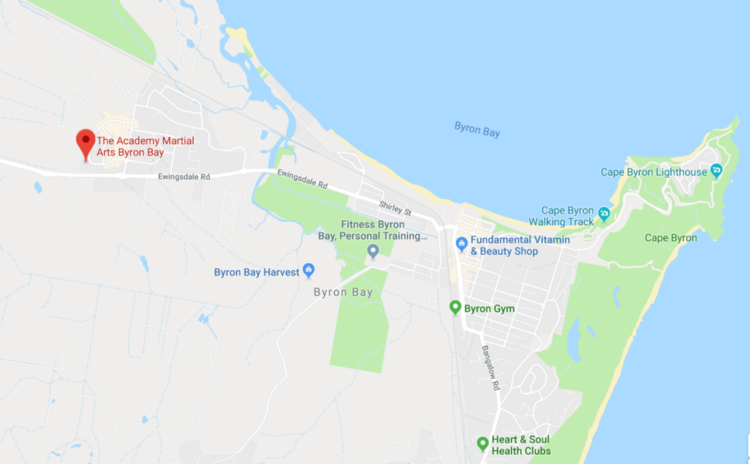 The Academy is located 5-minutes from Byron Bay’s town center, which attracts BJJ Globetrotters who want to get some sneak BJJ training in while their family members are occupied by beautiful Byron Bay. The Academy Byron Bay created a welcoming atmosphere for visitors as it is not uncommon to host outsiders at the gym. When I walked in, Professor Daniel and friendly students welcomed me to the Byron Bay’s BJJ community. It is fair to assume that coaches are often not as attentive to visiting students compared to the regular ones. However, Professor Daniel’s instructions proved me wrong with his insightful advice as if I were one of the members of the Academy. Fun fact: 6 months later, while I was training at Alliance in Frankfurt, Germany, someone tapped me on the shoulder and asked me if I rolled with him in Byron Bay. Yes, we did. What were the odds that Rajan and I cross paths with each other again by coincident on the opposite side of the world? This is why I love Jiu-Jitsu. With Byron Bay’s renowned beaches and relaxed lifestyle, training at the Academy Byron Bay will complete your vacation in this remarkable town. Thank you for perfecting my unforgettable stay in Byron Bay! 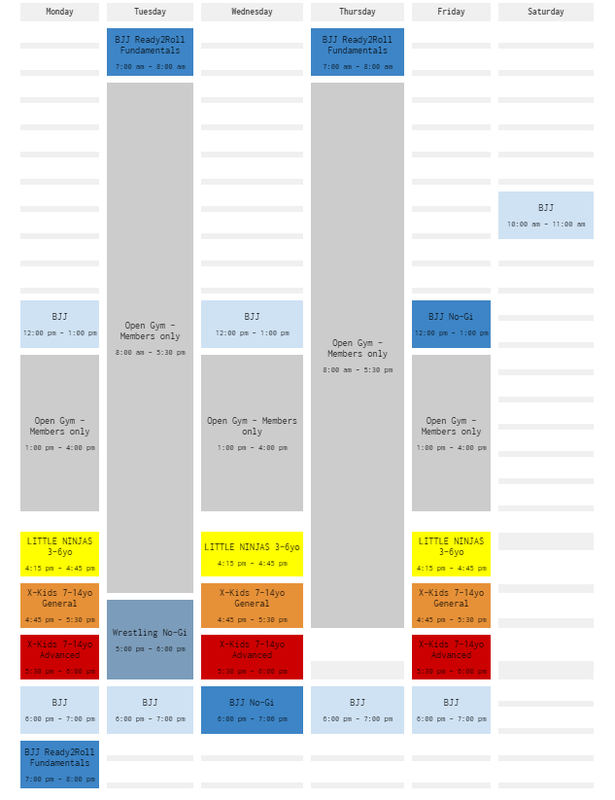 In hindsight, maybe I should have done my working holiday in Byron Bay fulfilling my dream of surf and jits instead. 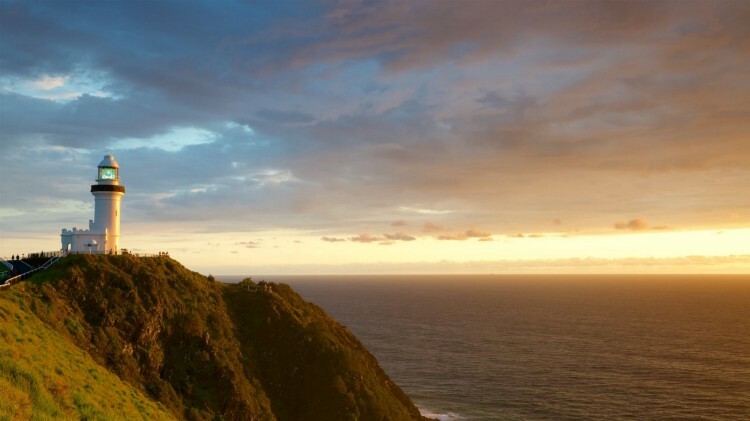 Cape Byron Lighthouse — Built along with the most eastern point of mainland Australia, the lighthouse can be reached by following the walking track along the beach. The loop track is about 3.5 km, and the view is simply breathtaking. Byron Bay Beaches — From Main Beach that is conveniently located adjacent to Byron Bay town center to the Pass, which is extremely popular with surfers, Byron Bay has a beach for everyone. You can enjoy turquoise water and white sand beaches while watching dolphins surf the waves. If you prefer being more active, you can jump into the water and join surfers and snorkelers from all around the world. Night Life in Byron Bay — Once the sun goes down, the main street of Byron Bay becomes lively again. Byron Bay offers plenty of options for a night out depending on what you are looking to do. From “Cheeky Monkeys” and “the Sticky Wicket” filled with backpackers to “Beach Hotel” with live bands, you can easily steer your night where you want to go.